Jung Da-bin was a South Korean actress. She became popular with the television drama series Rooftop Room Cat. She was born in Seongnam, Gyeonggi Province. She received her education at Dongguk University majoring in Theater and Film. Jung Da Bin was her stage name, and she debuted on The Legend in Gingko in 2000. Jung Da-bin was really well known on Rooftop Room Cat (also known as Attic Cat and Cat on the Roof) in 2003 along with Kim Rae Won as her acting partner. The story was about a girl and a boy who always argued while living together, but they eventually fall in love with each other. The serial drama hit the top and was particularly well known among teenagers and people in their twenties. Tragically, though, Jung Da-bin ended her life by suicide. Jeong Da-bin was found hanging by a bath towel in a bathroom in Samseodong, Gangnam District, South Korea, on February 10, 2007. She was at her boyfriend’s house. According to the police’s primary investigation, Jung’s death was a suicide due to depression. Jung Da Bin’s birth name is Jung Hye Sung. Jung Da Bin became known for her cheerful and positive image and her outgoing personality. Jung Da Bin died at 26 years old. Jung Da Bin had a slim figure. Jung Da Bin’s eye color was black. Jung Da Bin’s hair color was black. Jung Da Bin graduated from Yongdok Female High School. Jung Da Bin then graduated from Gongguk University. Jung Da Bin’s death happened 11 years ago. Jung Da Bin’s career began in 2002. 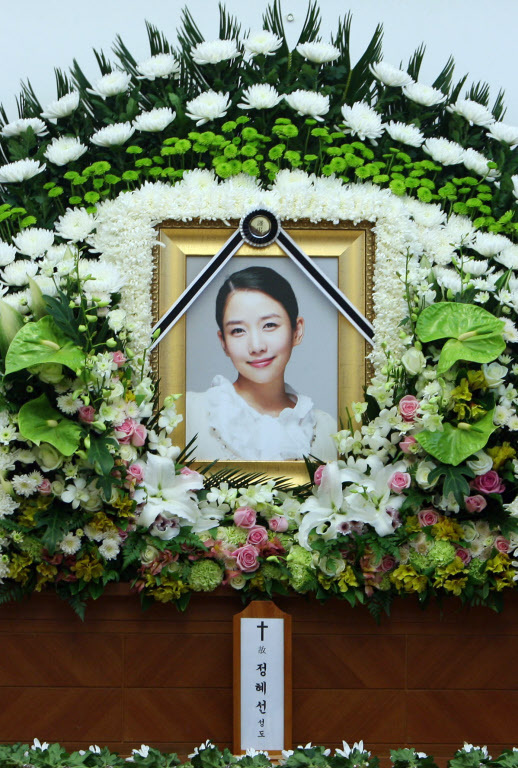 Jung Da Bin was cremated and placed at Cheonga Park in Ilsan, Gyeonggi Province. May Jung Da-bin rest in peace.